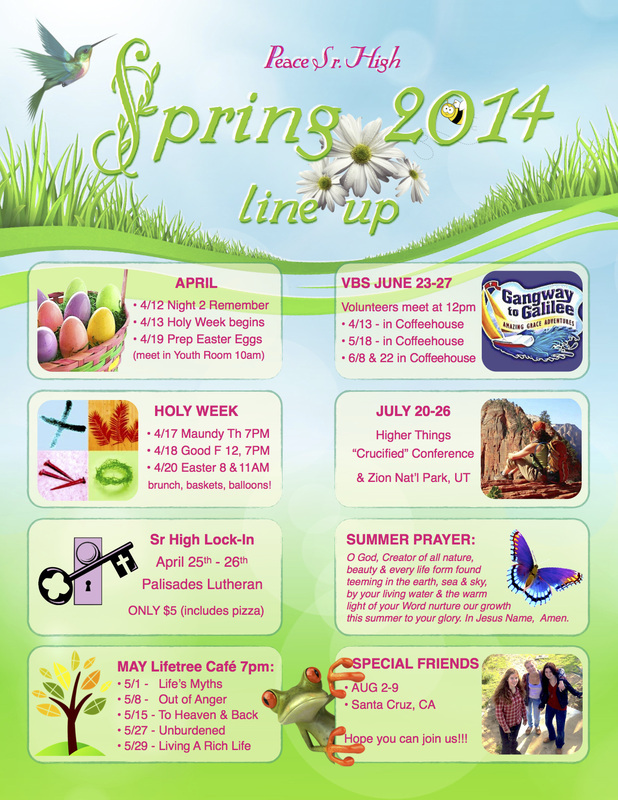 Both our Spring & Summer events are here! Vacation Bible School, summer missions and spiritual growth trips are just a few of the things we have going on. CLICK HERE FOR 2 SUMMER TRIPS! Spring and summer both are times of growth - for plants and flowers in nature, as well as the flock of God in the Good Shepherd's care. He leads us to green pastures and beside still waters, so we can be nourished and grow. By fall, Lord willing we will be strong and healthy - ready to labor in the harvest. So, join us this summer and get plugged-in to the many opportunities to live out your Christian faith with people your own age, as well as with the greater family of God in Christ. Servant Amy is about to take the plunge on Mt. Cross' Giant Rock Tower Swing.